With Soho House due to open the doors of its exclusive new enclave overlooking glittering Juhu Beach later this year, Mumbai’s cool crowd continues to gravitate from the south towards the less touristy lanes of the city’s north west. While Colaba’s busy bars, grand hotels and edgy art galleries still appeal, a foray into Mumbai’s well-heeled Bandra West district reveals a chic, understated neighbourhood peppered with bijou boutiques, laid-back bars and a buzzing nightlife. 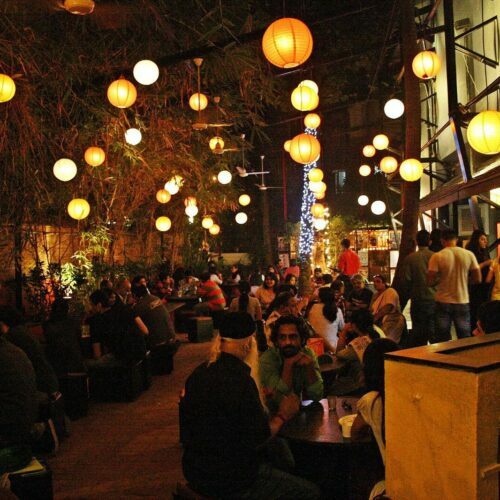 Allow us to reveal Bandra West’s trending venues. Waving a lace handkerchief for India’s love affair with chai is the Taj Mahal Tea House. All upcycled shabby-chic furniture and ochre walls scattered with framed vintage prints, this tasteful niche folded neatly down a modest lane serves an extraordinary array of high-end tisanes. Its Karipatta Delight—a traditional milky chai with a curry leaf twist—is a popular choice, and connoisseurs will appreciate the delicate Royal Saffron. Those who prefer arabica to Assam should head to Blue Tokai Coffee, where the décor may be a little perfunctory, but the rich and spicy Monsoon Malabar certainly makes up for it. Inventive menus and sleek décor make the laid-back Olive Bar & Kitchen a very popular choice among discerning Bandra locals. Head out into the courtyard, where whitewashed walls spilt with verdant vines screen out Mumbai’s heat and hustle. Dishes embrace global flavours with a leaning towards Italian—the decadent Duck Bacon Carbonara, made with hand-rolled fettuccine, is certainly memorable, and no one should leave without trying the unctuously rich tiramisu. The opulent, lattice-screened interiors of Hakkasan Mumbai offer a smarter dining alternative, with a Michelin-starred menu bearing Asian favourites such as melt-in-the-mouth truffle-drenched pork belly and chunky Indian salmon with a fresh chilli sauce. Forgo your usual tipple for a local-inspired cocktail; Éros muddles tequila and Cointreau with pomegranate and kaffir lime for a refreshing kick. A wander through Mumbai’s Bandra West will lead you to interesting clutches of bijou stores and independent boutiques. Green the Map is a colourful hive of socially conscious hand-painted artefacts, while Kulture Shop is a charming curation of design-led tech trinkets and fresh prints from local artists. Linking Road is home to a bustling local market selling everything from sequined sandals to embroidered tunics and bell-embellished anklets. 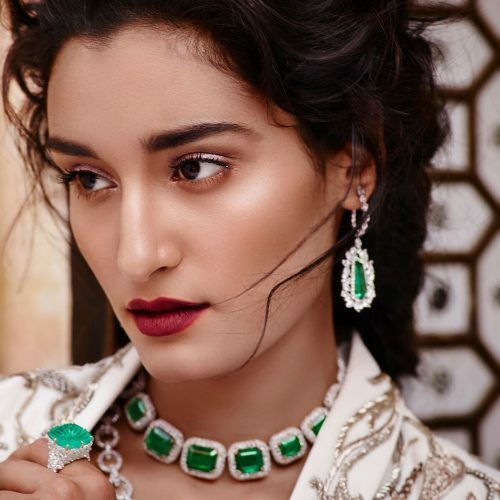 Venture into the streets behind this busy hub for an eclectic mix of shops that include elegant fashion from Anokhi and ceremonial saris at local designer Tamanna Punjabi Kapoor’s shop. The Taj Mahal Palace in Colaba is undoubtedly the grande dame of Mumbai’s luxury hotels, but her younger sister, Taj Lands End in Bandra West is the newer favourite among the city’s chic set. Bollywood’s darlings cluster around the coconut palm-flanked poolside Tropics Bar for sundowners, and the Lobster Masala Fry at the hotel’s Masala Bay restaurant is an excellent choice, should you require a little sustenance for the night ahead. The sleek, glass-walled bar in the prestigious Four Seasons’ San:Qi restaurant offers a stylish perch for a digestif—its wine list will not disappoint, with an interesting selection from rising local producers. If San:Qi’s buzzing atmosphere puts you in the mood for a party, head south of Bandra West to Mumbai’s star-strewn Matahaari nightclub. 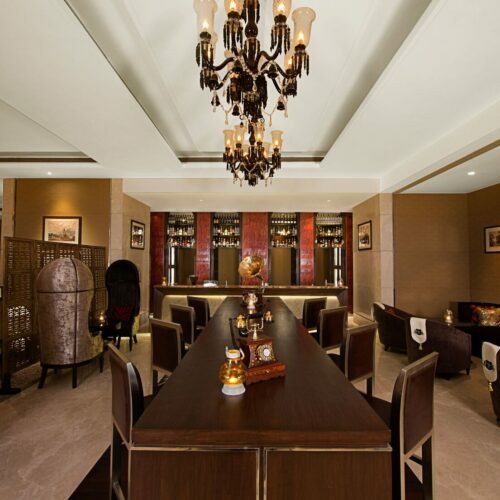 Its sumptuous interiors and glamorous clientele guarantee a memorable evening that has little chance of ending early.